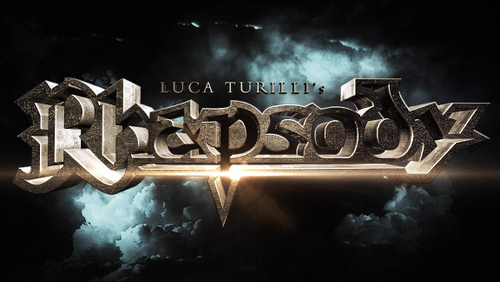 After the announcement of the friendly split of RHAPSODY OF FIRE , the birth of the new LT’s RHAPSODY band and the announcement of the new album coming out in June 2012, Luca Turilli released his first official and exclusive interview to Markus Wosgien, Head of Promotion of the German record company Nuclear Blast. MW: Hi Luca, thank you for the interview and for your time. Here we go with my first question: after the official split of RHAPSODY OF FIRE a lot of rumors about the same split spread around the net. Do you want to tell or precise something about it? LT: Hi Markus, it’s a real pleasure for me to exchange some words with you and to give some information to our fans at the same time. First of all let me tell you that Alex (Staropoli) and I had a lot of fun while hearing some comments following the announcement of the friendly split of RHAPSODY OF FIRE. In particular I heard the comments of some people imagining a lot of weird things or thinking that I was the one who left the band because of this or that reason. Honestly this is really absurd and nothing is more untrue. The only reality is that in the end of 2010 Alex and I, together - and I underline: together -, agreed that after FROM CHAOS TO ETERNITY (the 10th official RHAPSODY OF FIRE album which closed the cycle of releases related with our saga), we would have went on with our careers separately. This because after 20 years of great and unique collaboration the feeling, while working together, was not the same anymore and so, due to the strong respect we have for each other, we decided to take this important decision. We also agreed everything about the way the band split and the fact of keeping for both the name RHAPSODY, in respect of all the unique efforts and the personal economical investment we both made in these years to make this name stronger and stronger in the market. So, again, all was decided really in a friendly way between two people respecting themselves at all levels. Therefore no conspiracy theories or something like that ha ha, instead just the honest will of proceeding separately in order to find new artistic stimulations. Be also sure that there won’t be any competition between the two RHAPSODY bands, we are too old for those kind of games ha ha. I love Alex and want for him the best possible success. I also take the chance of wishing the best to the new members of RHAPSODY OF FIRE: TOM HESS and ROBERTO DE MICHELI. They are great people and ultra-skilled musicians, a sure guarantee of great music at the highest artistic levels for all the fans of Alex and Fabio’s band! MW: Let’s speak about your new album. What can you tell us about it? LT: Honestly, this album is very important for me, Alex Holzwarth, Patrice and Dominique and personally it is the one I always dreamed to record. The basic composition process lasted around 5 months. In this period of time I worked at the rhythm of 12-14 hours per day and, while very hard because very demanding mentally and spiritually, this was one of the most rewarding sessions of composition of my whole life. It rarely happened I had so much fun playing the guitar, the keyboards or my beloved piano and creating original classical parts, cinematic interludes, orchestrations and all the rest. Now all the songs are ready and I am actually in the process of arranging everything. As you know I don’t hire external people to orchestrate the music but I do all by myself writing the music for each section of the orchestra, the choirs etc. and this sometimes can be a very long and hard process stealing a lot of time and energy ha ha. I can not deny that this is a very ambitious album because of the investment, artistic vision etc., and all the people working on it, NUCLEAR BLAST included, are thinking the same. That’s why in the upcoming months of intensive studio work I want to go on dedicating myself night and day to it, without thinking to anything else. The production of the album just started and ALEX HOLZWARTH recorded most of his drum parts already. I will release more news about the album production, month after month, from my new website (WWW.LTRHAPSODY.COM), starting from the end of January 2012. MW: Speaking about the production, is it true that for your new LT’s RHAPSODY album you changed your working team completely? LT: Yes, after many years of work in Wolfsburg at the court of our friend SASCHA PAETH, I decided to start this new artistic adventure with a different team of people. Sascha and the other friends of the Gate Studio (Miro, Olaf, Robert, Simon etc.) are a winning team and their help in the past was really important for RHAPSODY. But it’s since many years already that Alex and I took the productions in our hands becoming producers of our own albums, despite Sascha remaining always fundamental as engineer and mixer man. His mixes will remain legendary and our list of thanks will be never long enough for all the professional contribution he gave. All the years of work, fun and sufferance in the Gate studios of Wolfsburg will surely remain unforgettable and are carved in our heart. For LT’s RHAPSODY and the new band adventure I decided to change the studio and the main man behind the console. We are now recording the new album at the BACKYARD STUDIO of Kempten, Germany. Our new engineer and main mixer man is the same owner of the studio and his name is SEBASTIAN ROEDER, the person who worked for RHAPSODY OF FIRE in the last worldwide tour making real miracles while mixing our music live. Apart from being a talented engineer he is a great person and he shares with us the love for this style of music. To resume, the new album will be produced by me as usual, while Sebastian will take care of the engineering, mixing and mastering process. MW: What can you tell us about the new singer? LT: As you can imagine this will be one of the most important news to be given in the upcoming months but for the moment we prefer to keep all top secret. Speaking about singers please allow me to say a few words about OLAF HAYER, singer and talented voice of LUCA TURILLI, my old solo band. The truth is that, as many people could already imagine, I stopped my solo activity as LUCA TURILLI definitely, willing to dedicate myself to LT’s RHAPSODY at full time. That’s why I want to publicly thank Olaf for the fundamental contribution he gave to our solo albums. All the 3 albums of the trilogy entered the charts establishing some important records and this was possible mainly because of my friend Olaf. Who knows, maybe sooner or later we’ll still have the chance to work together, never say never. MW: And what about the future plans of LT’s RHAPSODY? LT: Well, the most important thing I can tell you is that our tour agency ALL ACCESS is actually working hard and preparing a worldwide tour. Considering that the new album will be released in June 2012, the plan is to start the tour a couple of months later in order to promote it at the four sides of the world. It will be an infinite pleasure for me, Alex, Patrice and Dominique to meet all our old and new fans once again and to play in front of them the new LT’s RHAPSODY songs and the old RHAPSODY/RHAPSODY OF FIRE hits. Surely there will be also a couple of surprises for the one who liked my old solo albums too! MW: Thank you Luca and all the best to you, Alex, Dominique and Patrice for the start of this new artistic adventure. LT: Thanks to you and to the friends of Nuclear Blast for believing so much into it!